An LAPD detective investigating a producer's apparent suicide is drawn into a web involving murder and blackmail among Los Angeles' rich and powerful. Craine, the detective, is still reeling from the death of his movie-star wife and the shaky mental state of his shellshocked little boy. It's 1939, and Craine has spent the last few years of his career playing ball with MGM to cover up the crimes and scandals that ensnare their stars. He does this with the tacit blessing of City Hall. The movie business is important to LA, and the city's powers that be want to quash anything that will hurt it. But when an innocent man winds up dead because Craine is just following orders, he begins to sicken of the whole thing. And when he begins listening to the suspicions of a junior colleague that maybe the producer's suicide wasn't a suicide, it's only a matter of time before he begins stirring up the forces he's meant to placate. The debut novel is good on the period detail, which never becomes mere iconography, and the cynicism is held in check; the book doesn't turn sour. There is, though, a strong sense of familiarity hanging over the story and a streak of sentimentality—particularly in the scenes involving Craine's little boy—that lead up to a climax that is pure MGM corn. 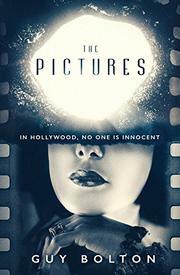 An atmospheric if familiar noir that provides a pleasant tour of Hollywood's golden age.